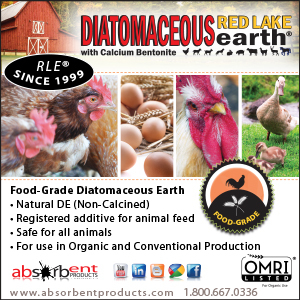 When we first decided to try raising chickens, the breeds we chose were based solely on what the feed store had. We said "we'll take two of whatever you have" and ended up coming home with two Buff Orpingtons, two Silver Laced Wyandottes and two Rhode Island Reds. 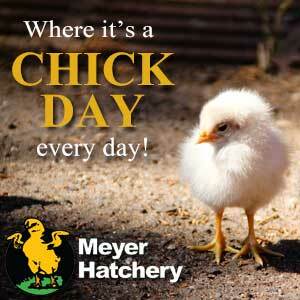 Cute chicks, beautiful chickens, wonderful layers...and they all laid brown eggs. Which was fine with me. Growing up the granddaughter of chicken farmers, I was always told, 'Brown eggs are local eggs and local eggs are fresh'. 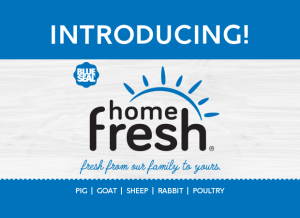 And fresh eggs were certainly my goal. So life was good. 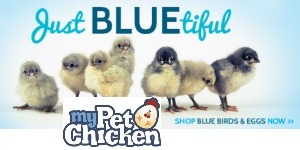 Until one day when the guy at the feed store showed me a blue chicken egg another customer had brought in. Hold on one second ? 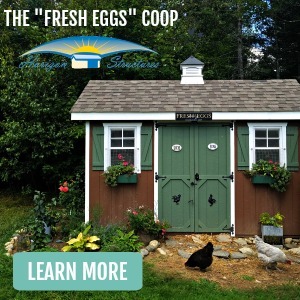 Chickens lay blue eggs ? I knew some laid white, but blue? I had no idea that there were different colored chicken eggs. 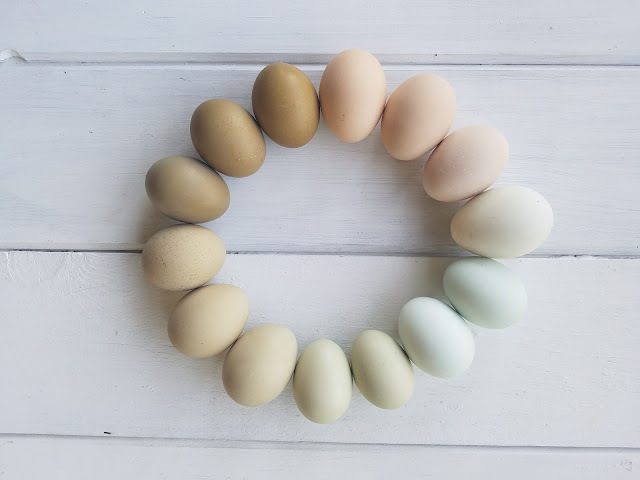 Although all eggs start out with white shells, the blue or brown dye (or both) applied to the shells of some breeds results in eggs that come in almost all the hues of the rainbow. 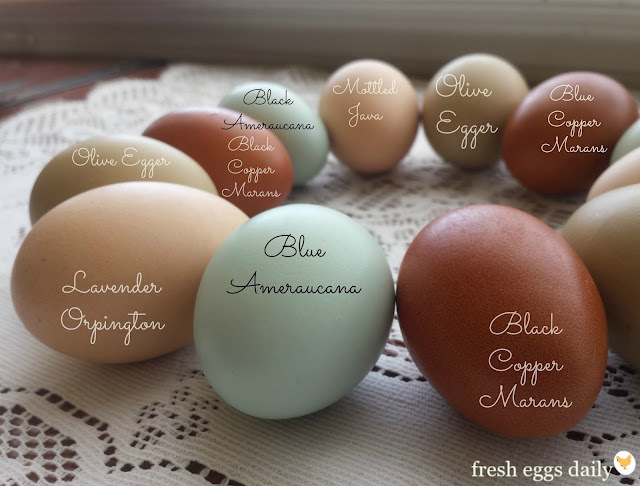 So once I discovered the world of colored eggs, of course I got online and started researching chicken breeds and egg colors, and then and began a quest to assemble a flock that lays every color egg imaginable. Of course I had to look further than our local feed store. 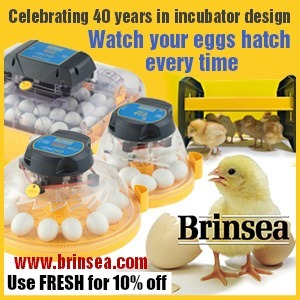 I have ordered chicks from the large hatcheries, including Meyer Hatchery, Chickens for Backyards and My Pet Chicken with wonderful results, but for more rare breeds, you likely will have to search out a small breeder. The Livestock Conservancy Breeder Directory is a good place to start. 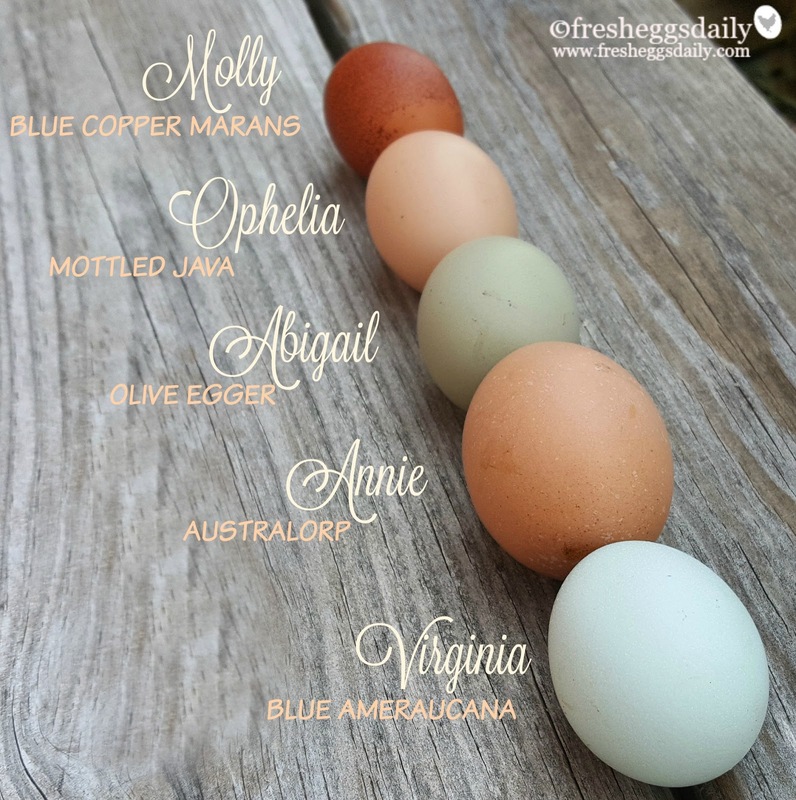 Even brown eggs come in a wide variety of shades when they come from different breeds of chickens. 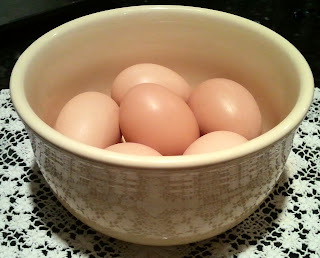 Note: Pink eggs are thought to be the result of the natural 'bloom' being applied over a light tan-colored egg. 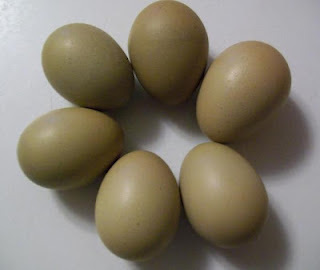 If you want a bit of a surprise, then add a few Easter Eggers to your flock. 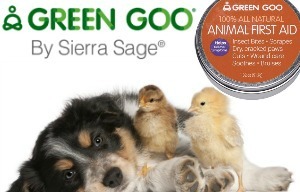 They are so named because they can lay a variety of shades of green (mint, pale, bright, olive), pinkish or cream eggs. In fact, you likely saw them listed in several of the above lists for that every reason. 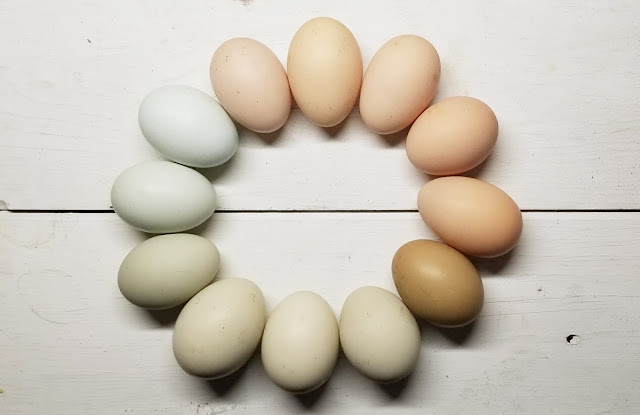 A particular chicken will only lay one color egg her entire life, but each Easter Eggers could lay a different color egg for you. Truly a mystery until she lays her first egg. 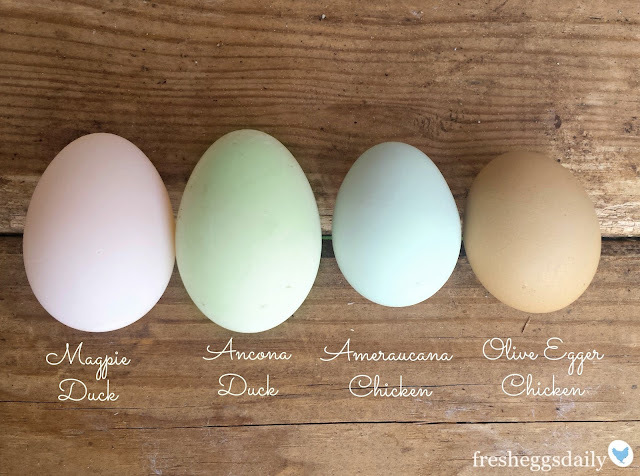 So when you're choosing your next breeds of chickens, why not add a little color to your egg basket? 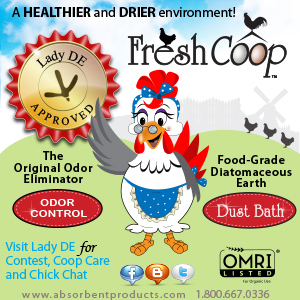 Facebook | Twitter | Instagram | YouTube| Bloglovin' |Google+ ©2012 by Fresh Eggs Daily, Inc. All rights reserved. I would like to add a few Black Copper Marans and some true Americaunas to my flock for more color variety. It's a goal! I currently have Wyandottes and 3 EE's. Great info Lisa! I'm with you Michele. 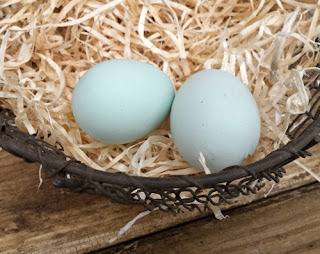 I love my EEs but I want truly blue eggs, so Araucanas are on their way. And I did buy some BCMs from a local breeder, but their eggs aren't nearly as dark as I would have hoped so I have ordered some from another breeder. I'm excited. I used Chicken Scratch Poultry. 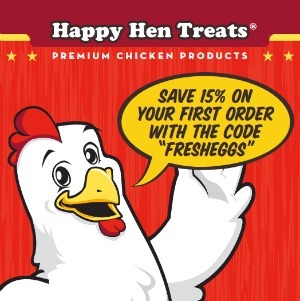 I haven't gotten the chicks yet but so far I'm impressed with their selection, recommendations from friends and customer service. The link to their website is on the left hand side if you want to check them out. There is always 'next spring' ! 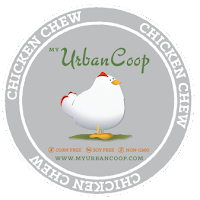 That's the nice thing about chickens - there are so many different breeds. 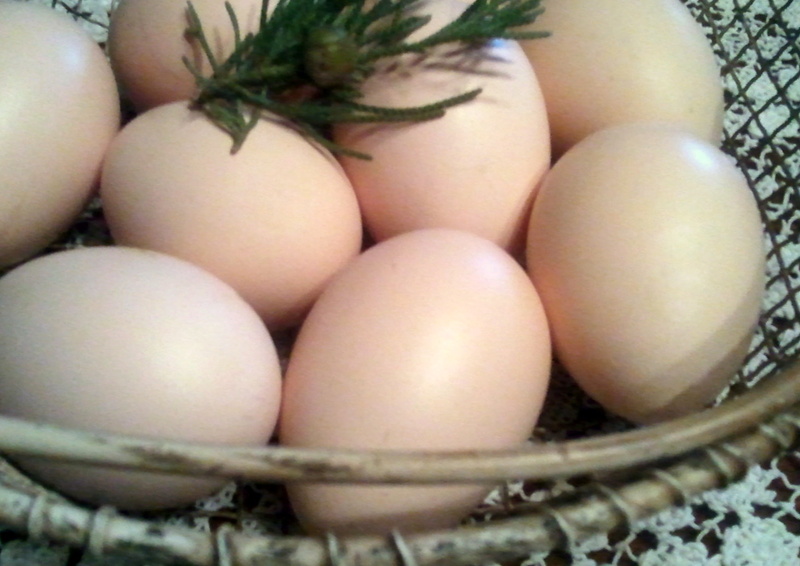 You will get some gorgeous eggs from the three breeds you have chosen. Be sure and post pictures on our facebook page. Thanks for following the blog. It's been alot of fun so far. 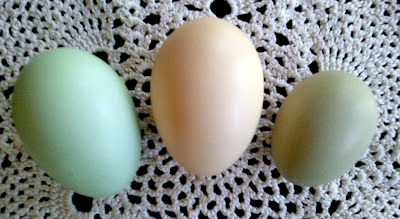 We have two Leghorns and an Ameraucana and I was really surprised with our Ameraucana's egg color. It is so hard to describe! Sort of a gray-green but not a color you could just say... Blue or green or anything. Odd colored! She's a really good layer though and has a neat personality. 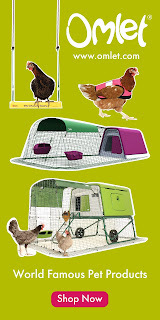 : ) I would like to add one more chicken to our coop, hopefully for a different color of eggs. I hear Buff Orps are nice to keep... Maybe one of those. Last spring we bought our second bath of egg layers. We got some more Ameraucana and finally got some blue layers with this around. 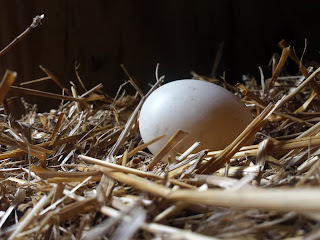 We won't be buying any layers this year, a few of our hens like to go broody in spring and we will fire up the incubator to get some mutt chickens to increase our number of layers. Kacee, I have never hatched any chicks - although I will be next month (SO excited !) - but I would bet you will get some nice egg colors interbreeding the Ameraucanas with some of your others. Great Article!! I love it! 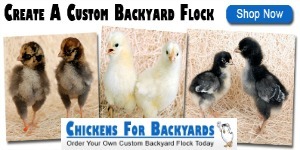 I have a barred rock, a buff orpington, a rhode island red, and a red star. The red star has been laying for about a month. She is a great layer, and lays one large, brown egg a day! 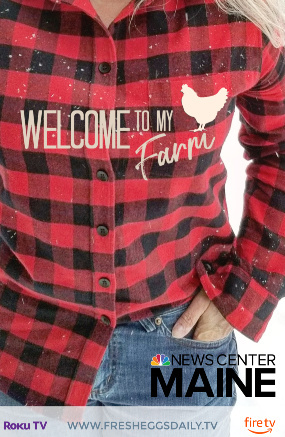 The barred rock just started yesterday. Her egg was a little misshapen, it was small, pale, and quite pointy. Is this just the result of a first egg or will all of her eggs look like this? 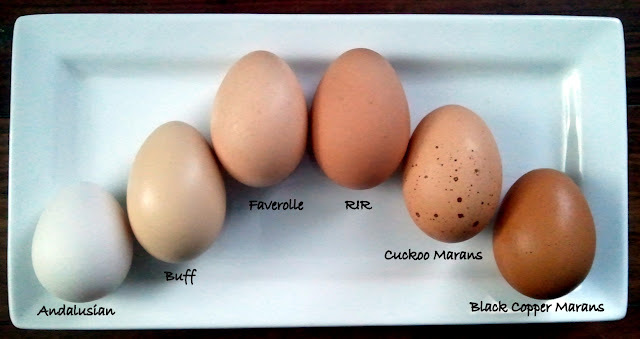 First eggs can be small, oddly shaped, soft-shelled, double yolked or look otherwise odd. Just new layers working out the kinks. 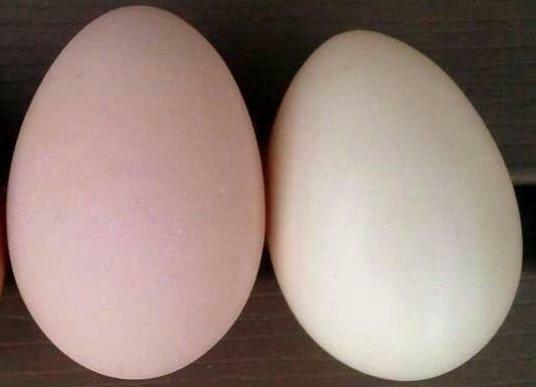 Please could you tell me the breed of chickens that laid the large, very pink eggs in the top photo on this site? 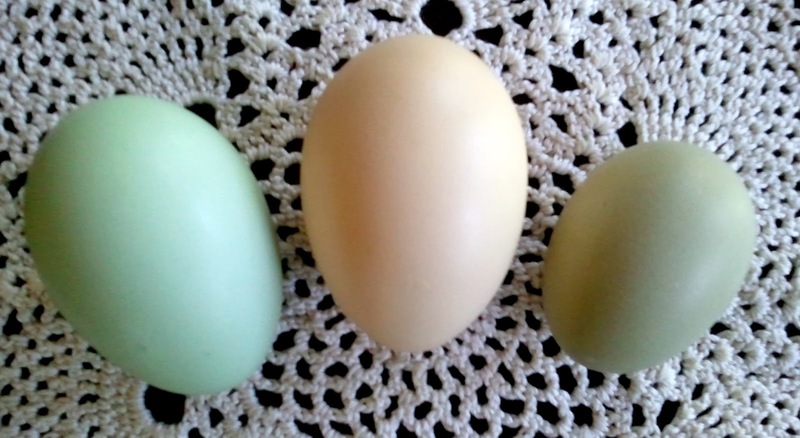 (2nd and 4th eggs, from the left). 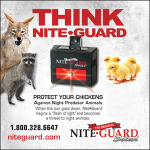 I want a flock that lays THOSE! Two of our four australorps lay the big pink eggs. Wow! This was the perfect post, just what I was looking for. 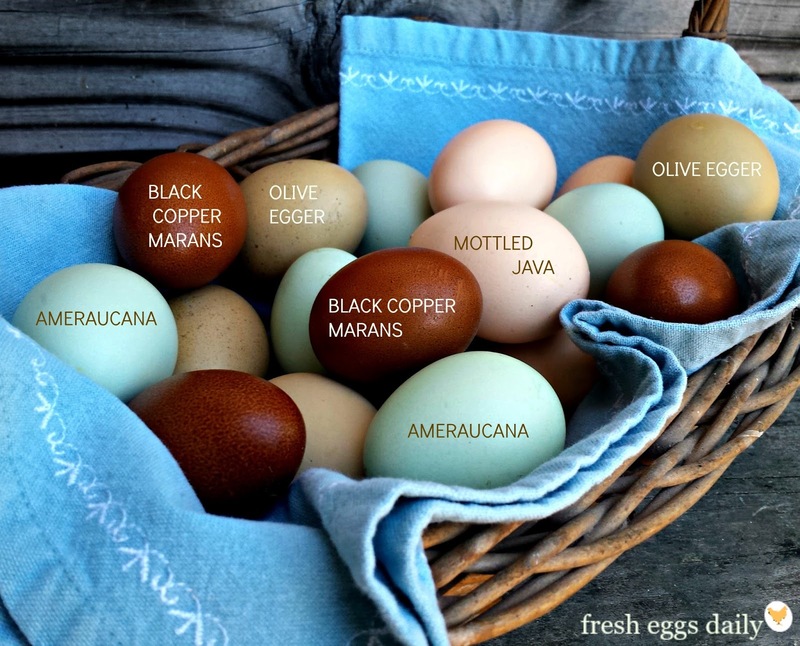 We are adding some Marans this spring to help round out our colorful egg layer collection. I sure do appreciate the thoroughness of your information and the wonderful photos. The one comparing inside and outside shell colors added an interesting sidelight. Thank you from New Mexico! I love all of the beautiful colors. So far I have light and mid color brown. Thank you so much for this! 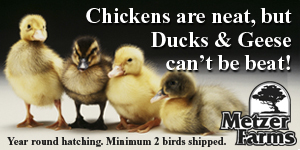 Now I have my flock in mind... Do you have any reptuable breeders in mind? I have only used Chicken Scratch Poultry. 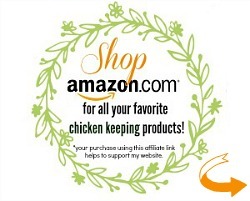 www.chickenscratchpoultry.com. They have beautiful breeds. Start there and if there are certain other breeds you have your heart set on, ask Angie from CSP if she can recommend someone maybe? 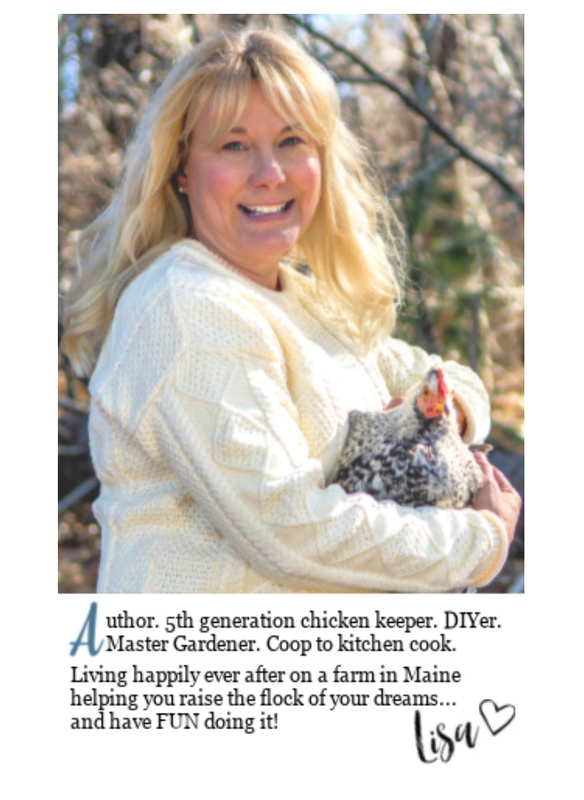 I recently discovered Chicken Scratch Poultry in my quest for the Lavendar Orpingtons my wife had her heart set on getting. 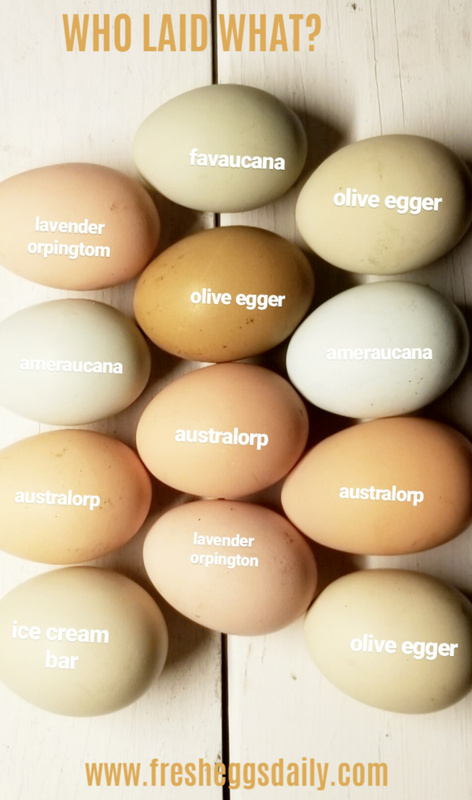 We have a few Buff Orpingtons and Golden Comets (along with around 400 Americaunas for our egg business) but she really wanted "purple chickens" :o). A search of the internet led me to CSP and and order for a dozen Lavendar Orpington fertile eggs followed. We've been more than happy with them! 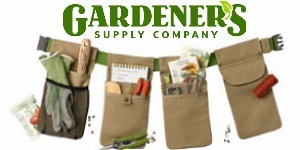 Great, quick and "as promised" service and awesome friendly folks to deal with. 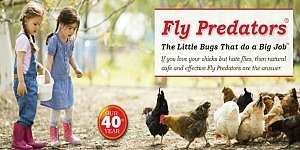 Our new additions are hatching as I type this! I'm glad to see the CSP folks getting good press and I'd like to add my recommendation to the list. Thank you ! We agree and just love CSP. Many of my flock, as well as Suzanne's come from them. Thanks for that recommendation. Hi. Just want to say that there is another breed that have green eggs.The breed is called Isbar and are found in Sweden.